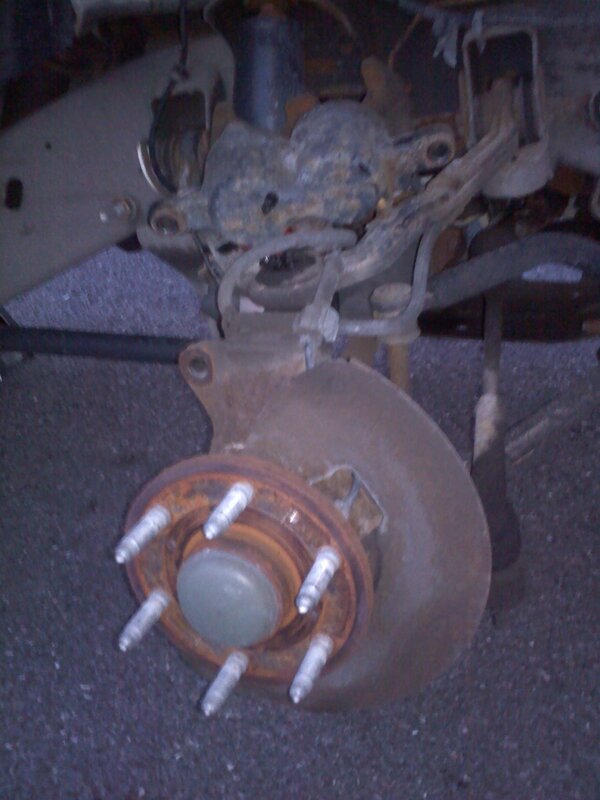 There’s a couple reasons why I decided to replace the brake pads and rotors on my 2005 Chevy Silverado myself. First and foremost because I am a tight wad. Secondly, I like a challenge every now and then. When I was growing up my dad did a lot of repairs around the house. They never went all that well, the process that is, not necessarily the final result. He did plumbing, drywall, electrical, you name it. My dad was not a jack-of-all-trades by any means. We just didn’t have all that much money. If we needed something done around the house it was far less expensive to do it ourselves. My dad was frugal. I remember thinking at some point in my childhood that someday I wanted to be rich enough that I could pay people to do this kind of work for me. Most of the time that is what I do but no, I am not rich. About a month ago I took my truck to the garage to be inspected. The call from the mechanic indicated about $1000 dollars in repairs in order for a new sticker to be placed on the truck. Five hundred of those hard earned dollars were for new brake pads and rotors. I had seen my father-in-law do this job and it didn’t seem impossible. 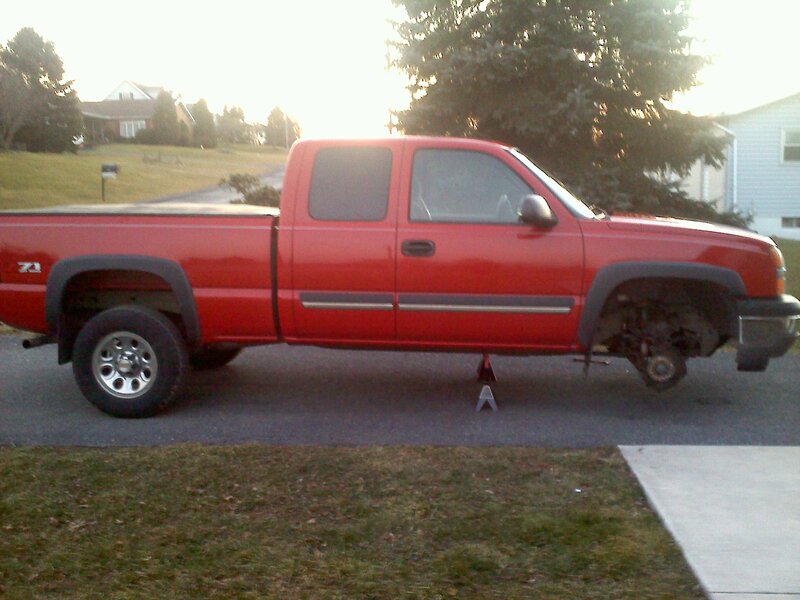 My dad never messed with vehicular repairs aside from changing flat tires. One advantage that I had over my dad was the internet and YouTube. I spent a couple weeks reading articles and watching videos and determined with only a shadow of a doubt that I could complete this repair on my own. I also talked to several of my colleagues. Some laughed, some thought I was crazy, one said with a snicker that she appreciated my confidence. Confidence is the key here. I guess confidence can be misguided but it can also be underutilized. This is where the second reasoning for this DIY project comes in. Projects like this, putting yourself out there more than usual, can build confidence. It’s basically a mini-lesson in building confidence for other parts of your life. Of all the people I know, only a couple had ever attempted to change their own brakes. As always, the genesis of any DIY project takes courage. You are taking the BRAKES off of your car! You know you need those to drive, right? Is my lack of ability going to end up costing me more in the end. It took me half of a day to take off one wheel, brake and rotor. I would do one little part and then fight with myself about whether I had the ability to finish. At one point I was looking up the phone number of another mechanic. Then one major task was completed and my confidence went up. Another one and another one followed. I did have to call a friend when I stripped off a screw but other than that I completely removed the first wheel – tire – rotor combo in about four hours. I celebrated a little in my mind and then removed the combo from the other side – in 20 minutes. My confidence was rewarded. I was flying high. It was like a microcosm of my professional life. The victories are far apart sometimes but when they occur I get that some feeling of powerfulness. That is the reason that I enjoy doing DIY projects. The rewards come quickly and you know that everything is of your doing. Good or bad, it’s on you. My spirit seems renewed each time. The job isn’t done yet. As you can see from the photo, the brakes aren’t back on. Tomorrow will hopefully bring those victories. By the way, don’t tell my father-in-law yet. He doesn’t know what I’m up to. I, for one, thought you were crazy. However, I’m very proud of the progress that you made today.